The Edinburgh Festival Fringe is in full swing. The city is alive with the sounds of buskers and acapella groups, the sights of technicolour costumes, bizarre make-up, incredible acrobatics and somehow every building has become a venue (which makes sense since there are over 3000 events to accommodate!). 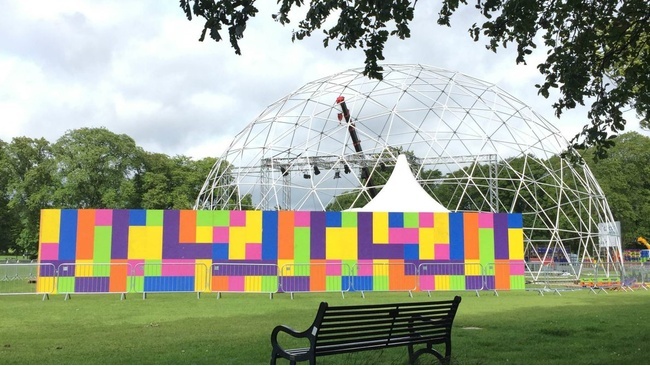 A new venue of note is the Underbelly’s Circus Hub, the first major venue dedicated to circus at the Edinburgh Fringe, and now in pride of place on the Meadows. 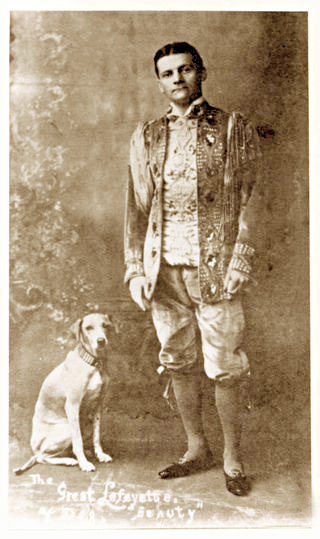 The Underbelly Circus Hub comprises two venues: Lafayette, named after the great magician and illusionist who sadly peris hed in a fire at an Edinburgh theatre in 1911, and Beauty, named after Lafayette’s beloved dog given to him by Harry Houdini himself. These venues have been specially adapted to allow for an unprecedented level of circus work at the Fringe: work that’s both technically ambitious and spectacular to behold. Alas, the misfortune of Lafayette seems to have been transferred to the venue that bears his name. Whilst the rest of the Fringe launched into action on Friday 7th August, all shows at Lafayette were postponed until the following Monday as gusting winds prevented the tent from being erected. Fortunately, this has now been remedied and Lafayette is up and running in all its glory. However, this is not the first time that extreme weather has resulted in the delay, or even cancellation, of an Edinburgh festival. In 2003/2004, the Hogmanay celebrations had to be cancelled at the last minute due to high winds and rain. This happened again for Hogmanay 2006/2007, despite investments in more robust staging, equipment and weatherproof fireworks, when wind speeds reached upwards of 70mph. Furthermore, in 2013 the Edinburgh MELA had to close early, also on account of high winds. It is not only Edinburgh festivals that are being adversely affected by unusual weather events. The Veld Music Festival – held annually in Toronto, Canada – had to be cancelled this year due to high winds, hail and torrential rain. The Lollapalooza, another North American music festival, also had a premature finish as a quickly moving severe thunderstorm swept through the area. Across the globe, extreme weather is increasingly frustrating and foiling the plans of festivalgoers. Global temperatures are rising, with all 10 of the warmest years on record occurring in the past 12 years. The number of climate-related disasters has increased from approximately 200 per year in the 1990s to 350 per year in the 2000s. Overall, the key climate change trends that are predicted for Scotland include hotter, drier summers with more heat waves, extreme temperatures and droughts, and milder, wetter autumns and winters, with more frequent and extreme precipitation events. As we have seen, such extreme weather events have an adverse effect upon our festivals. They can result in lower visitor numbers, disruption of road and rail infrastructure, and disruption of ICT links, not to mention the high costs of damage repair and adaptation work. It’s not all doom and gloom though. Action is being taken to mitigate climate change and to develop technologies and infrastructure that will help us to adapt. The arts can play a significant role in both of these activities. Through creativity and ingenuity, they can help us envision worlds and ways of being and encourage us to transform ours for the better. Through the visual arts, music, film, literature etc. alternative approaches and ideas can be explored, debated and matured. Indeed, this is already happening and where better to see it than at the world’s biggest art festival – the Fringe here in Edinburgh. You just have to look at the shortlist for the 2015 Fringe Sustainable Practice Award to see many examples of creative engagement with sustainability issues. While the winds that prevented Lafayette opening on time may or may not be a result of climate change, we know that climate change is causing extreme weather events and that such events do adversely affect festivals. But festivals are a melting pot for artistic ideas; ideas which can change the way that we see and interact with the world; ideas which can encourage us to take mitigative action and aid us in adapting to a changing world. If successful, then the very people that make up the festivals that we love may be the ones who save them in the future. The post #GreenFests: Tragedy strikes the clowns as wigs no match for wind appeared first on Creative Carbon Scotland.